A FORENSIC PSYCHIATRIST for the State has told a Mayo man’s murder trial that he was voluntarily intoxicated, leading him to act in ‘an extremely impulsive and violent way’, when he killed two elderly brothers with special needs. She said he did not have a mental disorder in law. 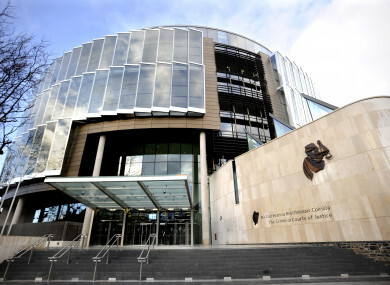 It follows the evidence of a defence psychiatrist, who told the Central Criminal Court that Alan Cawley had three mental disorders at the time, which had diminished his responsibility for his actions and would give the jury the option of finding him guilty of manslaughter rather than murder. The 30-year-old of Four Winds, Corrinbla, Ballina, Co Mayo has admitted killing Thomas Blaine (69) and John (Jack) Blaine (76). However, he has pleaded not guilty to murdering them on 10 July 2013 at New Antrim Street in Castlebar. She told Tony McGillicuddy BL, prosecuting, that she had studied the book of evidence, as well as Cawley’s medical and psychology records dating from when he was four years of age. She also interviewed the accused and his parents. She said she agreed with the defence psychiatrist’s diagnoses of both Emotionally Unstable Personality Disorder and Antisocial Personality Disorder. However, she disagreed with his opinion that they were mental disorders under the Criminal Law Insanity Act 2006. The defence’s psychiatrist had also testified that Cawley had Attention Deficit Hyperactivity Disorder (ADHD) at the time of the offences; the court had heard that he had been diagnosed with the disorder at the age of 11. Dr Wright said that if ADHD was sufficiently severe to impair a person’s functioning, then it might be considered a mental disorder under the Act. However, she said she found no evidence of ADHD in Cawley in adulthood. “It’s my view that Mr Cawley did not have a mental disorder at the time of the alleged indexed offences,” she concluded. She said, however, that he had been in a state of intoxication and that this was voluntary. She is now being cross-examined by the defence before Justice Paul Coffey and a jury of four women and eight men. Email “Man accused of murdering elderly brothers didn't have mental disorder but was intoxicated, psychiatrist tells court”. Feedback on “Man accused of murdering elderly brothers didn't have mental disorder but was intoxicated, psychiatrist tells court”.